THIS IS A SPECIAL ORDER ITEM. NOT STOCKED. 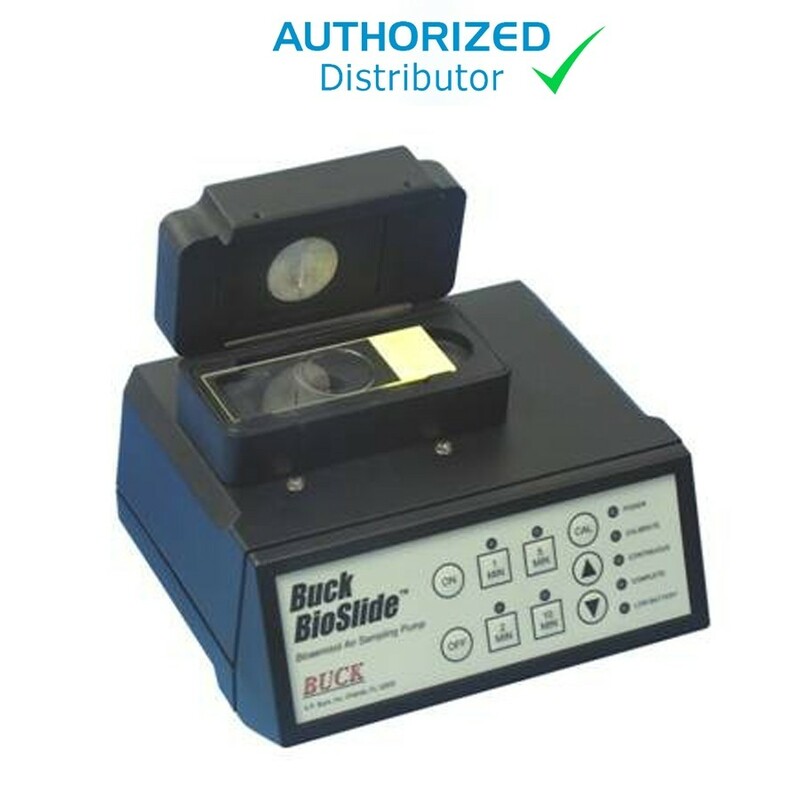 The Buck BioSlide™ Model B1020 Sampling Pump is a compact, lightweight 10-20 LPM controlled flow sampling pump for bioaerosol sampling with Buck Impaction-Gel (also accommodates generic grease slides ). The easy, full-control keypad lets you perform unattended time programmed (1, 2, 5, or 10 minute) samples, perform easy calibrations without tools, or perform manual timed sampling at the touch of a button. A group of status LEDs show the BioSlide™ Model B1020 operation at a glance. Both an LED and audible alarm provide confirmation of end-of-sample or depleted battery. The BioSlide™ Model B1020 Pump provides a full five hours of continuous operation (at 15 LPM) from its rechargeable NiCad batteries. It comes with a Calibrated Rotameter for quick flow check or calibration and a Standard Charger.